Harriet Jacobs (1813–1897) was born a slave in North Carolina and escaped to the North in 1842. Her autobiographical account of her experiences, Incidents in the Life of a Slave Girl, was the first slave narrative written by a women. 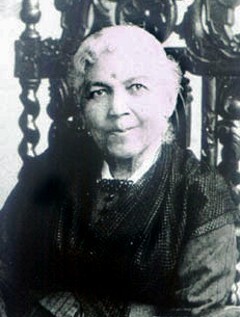 During the Civil War, she participated in relief efforts around Washington, D.C., founding a school for freed slaves. After the war she remained an active advocate for equal rights for African Americans and an outspoken critic of racial violence. She died in Washington, D.C., on March 7, 1897.